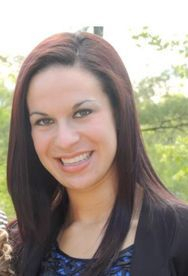 Jordan holds a BS degree in Early Childhood Studies with a minor in Dance from Plymouth State University (NH). As a PSU dancer she studied under the direction of Amanda Whitworth, along with notable teachers/choreographers: Lisa Travis, Lois Hanks, and Lenore Sousa. Jordan was a member of the Plymouth State Contemporary Dance Ensemble and the Plymouth State Dance Team. Her senior year, she served as a captain on the team and received the 2012 Dance Achievement Award. Jordan also attended the American College Dance Festival and participated in guest choreographed works with Charmy Wells (Refractions Dance Collective) and Pamela Pietro (NYU Tisch School of the Arts) a native of Queensbury, NY, Jordan grew up dancing in the Glens Falls area. Upon Graduation, Jordan returned to the area and received her Masters of Science in Literacy in May of 2015. She currently teaches pre-kindergarten during the day time. She loves working with the students at DCQ and looks forward to another year with her dance family.